In this era of globalization, International Law plays a significant role in facing rapid development of various legal issues. Cultural preservation has emerged as an important legal issue that should be considered by States. 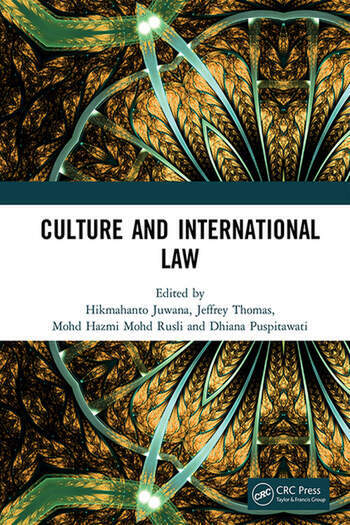 This book consists of academic papers presented and discussed during the 9th International Conference of the Centre of International Law Studies (9th CILS Conference) held in Malang, Indonesia, 2-3 October 2018. 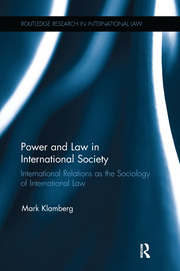 The title of the book represents the major theme of the conference: "Culture and International Law." It is argued that along with globalization, cultural preservation is slowly ignored by States. Various papers presented in the book cover five topics: cultural heritage; cultural rights; culture and economic activity; culture and armed conflict; and a general topic. The authors of the papers are outstanding academics from various countries, Lithuania, United States of America, Australia, Thailand and Indonesia. The conference was organized by Universitas Indonesia in collaboration with Brawijaya University. 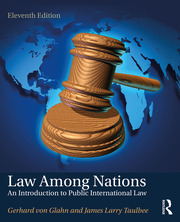 This book aims to give a useful contribution to the existing literature on International Law, specifically focussing on cultural issues from the perspective of cultural heritage and rights, economic as well as armed conflict. Hikmahanto Juwana has been Professor of Law at the University of Indonesia since 2001 and served as Dean of the Faculty of Law from 2004 to 2008. He also teaches Law at several other prominent universities in Indonesia and has been a visiting professor at the University of Melbourne, National University of Singapore and Nagoya University, Japan. As an Independent Researcher, he has published numerous books, articles and research papers on various aspects of international law, business law and air and space law, among others. Prof. Juwana graduated with a Degree in Law from the University of Indonesia in 1987 and holds an LL M from the Keio University, Japan (1992) and a PhD from the University of Nottingham, UK (1997). Beside serving the University of Indonesia, over the past 4 years he has been Editorial Board member in various national as well as international academic journals. Jeffrey Ellis Thomas joined the UMKC Law Faculty in 1993. His research focuses on insurance law and on the intersection between law and culture. Dean Thomas attended the Berkeley Law of the University of California, Berkeley. He was Teaching Fellow and Lecturer in Law at the University of Chicago Law School. He also spent five years practicing law in Southern California working on civil litigation and insurance coverage matters. He teaches Torts, Civil Procedure and Introduction to American Law and Culture. He has been a visiting professor at University of Connecticut, Nankai University in Tianjin, China (as a Fulbright Fellow), and Immanuel Kant State University inn Kaliningrad, Russia (also as a Fulbright Fellow), and an adjunct professor at Loyola Law School (Los Angeles). As Associate Dean, he has responsibility for oversight of international programs, including study abroad and the LL.M. in Lawyering. Mohd Hazmi Mohd Rusli (PhD) is Associate Professor at the Faculty of Syariah and Law, Universiti Sains Islam Malaysia (USIM). He obtained his PhD from the Australian National Centre for Ocean Resources and Security (ANCORS), University of Wollongong, Australia. He has been a visiting professor at the School of Law, Far Eastern Federal University (FEFU), Vladivostok, Russia for five years since 2014. He was also visiting professor at the Faculty of Law Brawijaya University, Indonesia and at the Department of International Relations, National University of Timor-Lorosa’e, Dili, Timor-Leste. Besides his current position at USIM, he is also attached as a research associate in a number of institutions i.e. Institute of Oceanography and Environment, Universiti Malaysia Terengganu (as a research associate), Australian National Centre for Ocean Resources and Security (ANCORS), University of Wollongong (as an honorary post-doctoral research associate), Australia and the Asia-Africa Legal Consultative Organization (AALCO), New Delhi, India (as a research associate). He has written numerous articles published in high-impact journals and in renowned magazines. His area of interest is the Law of the Sea and Public International Law. Dhiana Puspitawati (PhD) is Associate Professor at the International Law Department of the Law Faculty, Brawijaya University (UB). She obtained a PhD from Law School of Business, Economic and Law (BEL) Faculty, the University of Queensland, Australia. Currently she is the Head of the Indonesian Centre of Ocean Governance, which actively conducts research as well as academic activities in ocean affairs. She has written numerous articles published in both national accredited journals as well as high-impact international journals, conference proceedings, magazines as well as national newspaper and has published several books. She has been invited as speaker in both national and international conferences. She has been serving as Indonesian Constitutional Courts’ research reviewer. She is also editor in-chief of Brawijaya Law Journal.